Eleaf has become known for its highly affordable and innovative products that’s surely made a stamp within the market, and they’re at it yet again with the Eleaf iCare Vapor Pod System. 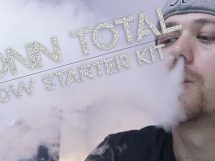 Normally I wouldn’t give this type of product the time of day, but I must keep in consideration that there are many smokers and new vapers that frequent this blog, so it’s vital that I give information and reviews on products that best fit their experience level. 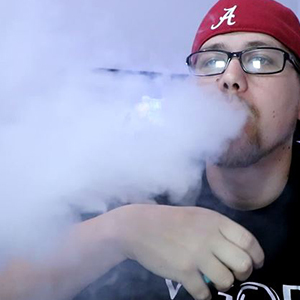 With that said, I hope you enjoy this Eleaf iCare Vapor Pod System Review. Appearance: The Eleaf iCare Vapor Pod offers a very simple look, so there isn’t too much to talk about it in terms of its appearance. However, there are a few things that are noteworthy about it, such as its 30mm by 14mm by 75 extremely compact size, its multiple color options that includes black, cyan, gold, red, and white, along with its overall simple all-in-one desing. If this is the future of automated e-cigs or now better known as vapor pod systems, I dig it! Features: When it comes to the features, as mentioned before this vapor pod is an all-in-one system, meaning it’s a combination of the battery and tank in one. 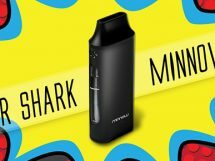 Now, being as small as it is, and it’s made for the beginner vaper, you could expect the features to be very minimal, however it’s a bit surprising on what it actually offers. For starters, it incorporates a built-in 650mAh rechargeable battery that can be charged via the equipped micro-USB port at the bottom of the device. It’s an automated device, so as you take a pull, a sensor is triggered and the device is activated like older cig-a-likes. Furthermore, it has a direct voltage output, meaning depending on the battery life you have available depends on the wattage output. When fully charged the device can do 15 watts max, and it’s able to do this with the included iCare IC 1.1ohm Coil. The top cap has multiple uses — it not only acts as a drip tip, but it also allows you to access the coil, and it comes with an integrated slot so that you can remove the coil. Lastly, the iCare Vapor Pod also has an integrated three color LED feedback system, which shines green inside the 1.8mL tank when the battery is at 100 to 16%, it shines yellow at 15 to 6%, and red when there’s less than 5% battery life available. Performance: After allowing your liquid to warm up to the 1.1ohm coil, you’ll become quite amazed at how well this little device performs. Nearly fully charged, I was able to put out some nice clouds, or more than you would expect it to produce, with a high VG e-liquid, and without any wicking issues at all. It offered a consistent hit each time, the vapor production was loads better than what you receive from those old cig-a-likes (or gas station ecigs), and the simply fact that you can change the coil is pretty awesome. 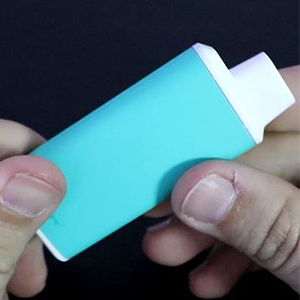 If you’re looking for a vapor pod, you would be blown away by what this little thing can do. 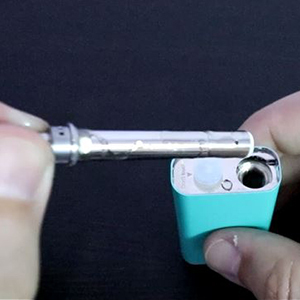 The Eleaf iCare Vapor Pod System is an incredible little device for what it is. I feel that it's a modernized version of the classic e-cigarette, giving smokers and new vapers a more discreet device to use, while also providing a better appearance, better performance, and more options than what they were offered in the past. I didn't give this particular vapor pod a five star rating, because I feel there are more improvements that could be made to offer the user a better experience, such as a little more battery life and a bit more power. I have 2 of these, and I absolutely love them. For women, they are small enough to fit in the tiniest handbag, and I was literally blown away with the perfomance considering the size. Plus, they come in pretty colors and are a breeze to use!